Probably the most adorable and gentle of all rodents, guinea pigs’ food requirements are rather simple. 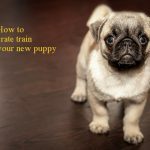 It is, however, easy to get their diet wrong and feed them foods which don’t provide enough essential nutrients and minerals. 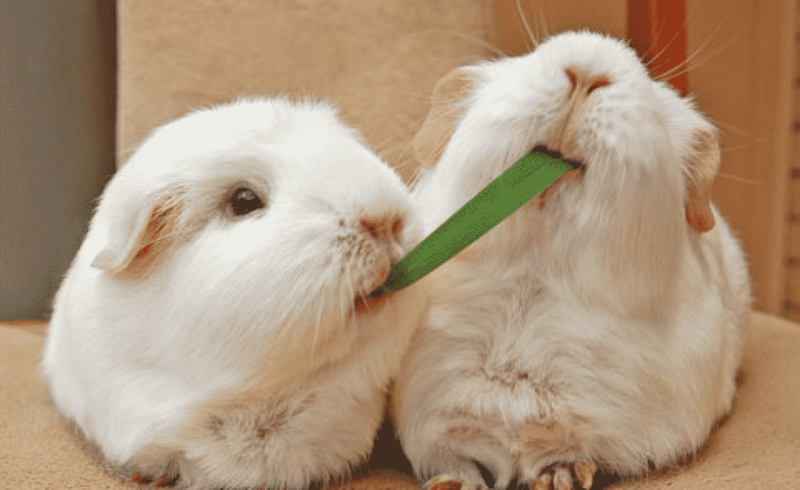 Worst case scenario, you might end up serving them wrong food and cause them to become obese or even seriously ill.
To help you avoid this, well go into details of cavies’ diet and recommend what is the best guinea pig food to give them and what to avoid. 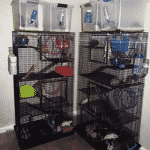 In case you want to buy a guinea pig, check out our review of 7 best cages for a guinea pig. Whichever of the guinea pig breeds you have, it goes without saying that you will need the best guinea big water bottle for the fresh water to be regularly provided every day for the guinea pigs to stay healthy. Now, what else do they need? According to most authorities including RSPCA, good quality hay needs to constitute the main portion of cavies’ diet. While the fiber in pellets is still fiber, studies have shown that the large indigestible fiber in hay is more effective than small, pulverized fiber at moving food through the digestive tracts of all herbivores, including guinea pigs. High-fiber diets not only decrease hair accumulation in the gut, but may also have a protective effect against enteritis (inflammation of the intestine, especially the small intestine, usually accompanied by diarrhea). In general, both Alfalfa and Timothy hay can be stored for many months, depending on how fresh it is and if kept in the proper conditions. 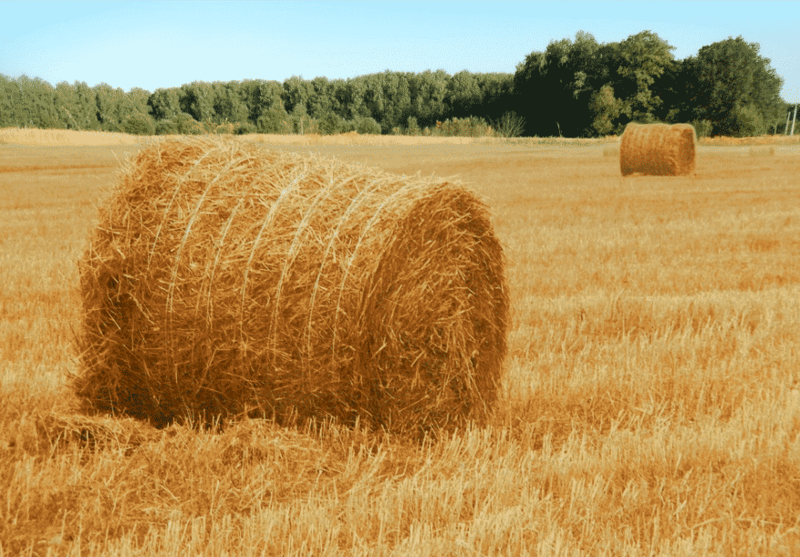 Storage at home is extremely important: hay should be opened to breath as soon as you get it. You should keep it in a dry and well-ventilated place and not in plastic. A wooden or cardboard box is perfect. If you get a bale or a partial bale, the hay will stay fresher for longer periods if you break up the bale to as little chunks as possible. Apart from Timothy hay, other hays recommended for adult guinea pigs include Oaten, Wheaten, Pasture, Paddock, Meadow and Ryegrass hays. A high-quality pellet or dry food makes a readily available and convenient part of a healthy guinea pig diet. If you supplement pellets with various fresh vegetables, and water, your pet will have all the nutrients it needs (hay always comes first, thou). Pellets are considered better than food mixes, and are available in two types. Alfalfa hay-based pellets are perfect for young and pregnant guinea pigs because of the high content of calcium. However, this can cause bladder stones in adult cavies, so you should switch to a Timothy hay based pellets when your pets are about 12 months old. Although pellets are less important than a constant supply of fresh grass hay, they can provide additional vitamins and nutrients which your cavy cannot get from hay alone, especially if the pellets are supplemented with Vitamin C. Unfortunately, not all the pellets are created equal. 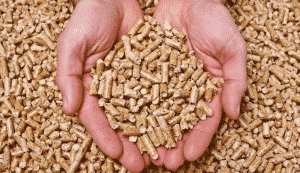 Most of the cheaper pellet brands tend to be flashy so pet owners would buy them. These are the foods people to buy because they look good and perhaps taste good to the cavies, but unfortunately they are the ones to stay away from. They are usually a mixture of pellets, dyed colorful pieces (flakes or pellets), nuts, seeds, and/or fruit bits. The safe way to go is to look for timothy hay-based pellets for adult guinea pigs without added nuts, seeds, crunchy bits, or dried fruits. Alfalfa for adult guinea pigs can cause weight gain, kidney and bladder stones, or calcium crystals in their urine. Read the ingredients to check for preservatives such as BHA, BHT, and ethoxyquin. These may cause health problems like dry skin, allergic reactions, and dental disease, as well as stimulate harmful effects on liver and kidney functions. Even though good quality, Vitamin C rich pellets brands cost a little more than the others, they are really worth it for the health and happiness of your cavy. Made from high-fiber timothy hay, this food is a great choice for mature guinea pigs, i.e. 9 months to 1 year and older. Cavy Cuisine does not use chemical preservatives, artificial colorings, animal fat, or corn. It has a balanced calcium-to-phosphorus ratio for a healthy urinary system. It also contains a stabilized form of Vitamin C with a 12-month shelf life. Another great food in the form of high-fiber timothy-based pellet with the correct calcium-to-phosphorus levels and a high amount of stabilized Vitamin C. This brand contains none of the harmful preservatives or artificial colorings. A timothy-based pellet with an Oxbow-similar 12-month shelf life stabilized Vitamin C is also a good choice. It has optimal calcium content for a healthy urinary system. High in fiber (36 %), the crunchy nuggets, not pellets, come in Regular flavor and Blackcurrant and Oregano. It also has a high Vitamin C content and counts among its first 10 ingredients grass, hay, and peas. Burgess is an established, trusted brand for cavy food. Though containing alfalfa-based pellets, this mixture food does contain timothy hay, too. It’s free from preservatives, artificial colorings, and flavors. And, though a mixture, it does not have the treat pieces found in other foods. The food provides adequate Vitamin C, so all in all, it’s a decent cheaper brand. Because this food is alfalfa-based, you’ll want to keep an eye on your cavy’s weight and feces just in case. Just like humans, guinea pigs cannot synthesize Vitamin C (ascorbic acid) from food substances. This is why we need to supplement their diet with Vitamin C.
Although guinea pig pellets have added Vitamin C, storage or exposure to light can rapidly destroy it. Timothy hay and other grasses are poor sources of vitamin C so you shouldn’t rely on the pellets or hay to provide guinea pigs with their requirements. Some experts claim that commercial Vitamin C supplements added to cavies’ drinking water or Vitamin C in commercial feeds are NOT reliable sources of vitamin C.
Vegetables and fruits* = either low Vitamin C content or high oxalates in comparison to the Vitamin C.
Vegetables are an extremely important part of guinea pigs’ diet. Try to feed cavies 3 vegetable servings per day. Make sure one serving is some type of leafy green. Don’t offer more than 1 serving of any given vegetable in a day. Fruit is considered a treat so provide fruit no more than once or twice a week, especially sugary fruits. Stone fruits (all kinds) – These contain cyanide and is rich in sugar. Can cause diarrhea as well. All kinds of exotic fruits like mango, papaya, pomegranate – These cause serious indigestion and colics. 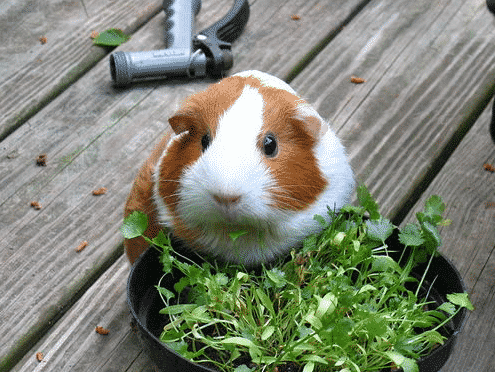 Due to probable indigestion and other health issues, the following foods should not be offered to guinea pigs: cereals, grains, nuts, seeds, corn, beans, peas, breads, biscuits, sweets, sugar, breakfast cereals, chocolate, buttercups, garden shrubs, lily of the valley, onion grass, onions, potato tops, raw beans; beetroot, spinach and rhubarb leaves; pickled foods or any bulk plants. In addition, do not feed your guinea pigs pizzas, hamburgers or other junk food leftovers as well as candies and cookies. Just stick to our guide and keep your pets healthy!